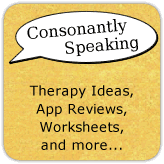 Consonantly Speaking: ABCs 4 SLPs: G is for Guest Posts - Ashley Alliano, M.S. CF-SLP of Unus Tactus Presents "I Have a Dream, That One Day, All Phones Will Be Created Equal..."
ABCs 4 SLPs: G is for Guest Posts - Ashley Alliano, M.S. CF-SLP of Unus Tactus Presents "I Have a Dream, That One Day, All Phones Will Be Created Equal..."
The third post of my guest blogger series is by an app developer who also happens to be a speech-language pathologist! When she contacted me to do a guest post, I was thrilled! Today's guest blogger is Ashley Alliano, M.S. CF-SLP, developer of Unus Tactus! Ashley Alliano, M.S. CF-SLP currently works at the Lewis School of Princeton primarily with children who have dyslexia and auditory processing disorder. She is also the developer of the application Unus Tactus. You can follow her website or Facebook page to look out for future projects! Continue reading to learn more about what inspired Ashley to develop Unus Tactus, more about the application itself, and for a chance to win a free promo code of the $9.99 application! As SLPs, we afford individuals the opportunity to communicate with the world and I truly believe that is a gift. However, when our clients are not in the confines of our offices, how can we make sure that they are safe, and can communicate easily? This is something that I often thought about when I was preparing to get my master’s degree. I worked in a private practice as a secretary and had the opportunity to talk to the caregivers of the boss’ clients. It was then that I found out how important it was to help others communicate properly. I thought it was terrible to see the stress and worry on these individuals’ faces as they prayed that their loved ones would one day be able to speak, and gain independence that they lost, or never had. There was a client in that office that I think about often because she has changed my life forever. This client had early onset Alzheimer’s Disease and expressive aphasia. Having to cope with short term memory loss in addition to word finding problems made her life very difficult. I often spoke with the woman’s husband and he would tell me how he worried about her all the time. She was still driving and his biggest fear was that if she had an accident, or got lost, she would not be able to ask for help. He got her a cell phone and a tracking device to keep her safe. However, her short term memory difficulties made it hard for her to learn how to use the phone and she was embarrassed by the tracking device. Her therapist asked me to search the internet to find a cell phone that was appropriate for her situation, but I was unsuccessful. When I discussed my predicament with my parents my father quickly spoke up to say, “Well, why don’t you make something she can use?”, and so began my journey to developing Unus Tactus. While in school, I learned about symbol recognition and decided that my iPhone application (app) should be a one touch photo dialing system. 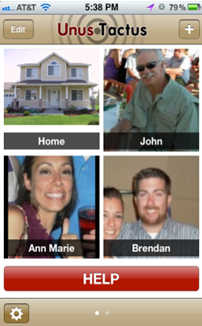 The photographs of clients’ homes and contacts make it easier for them to recognize who they are calling. I knew this would be perfect for clients with all types of cognitive impairments. When I searched the app store I found that there are several applications on the market that allow cognitively intact individuals to make calls utilizing a photo speed dial feature. These applications consist of features such as calling, texting, starting a video chat, and much more. Although they are easy to use for typically functioning individuals, they are far too difficult for someone with cognitive deficits. These clients have a greater risk of getting lost and needing help, but do not have the abilities to navigate the complex designs of those apps. Apple Products such as the iPhone and iPad have changed the lives of many typically and nontypically developing people all around the world. Although complex picture speed dialing currently exists, I felt it was time to develop an application that suits the needs of people around the world with cognitive deficits. That is why I developed Unus Tactus. Unus Tactus is a fabulous app intended to help individuals with cognitive, visual, and/or motor deficits by giving them an easy to use cell phone. It is a one-touch photo dialing app with GPS features including a geofence feature, which will alert an emergency contact if the user wanders outside of their designated area. In addition, once a photo is touched and a call is placed, an emergency contact is notified via e-mail. 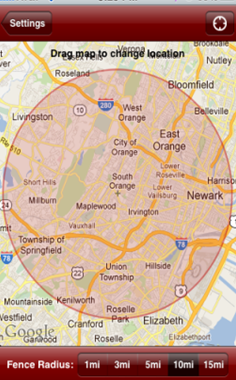 This optional feature allows the emergency contact to view the exact location from which the phone call was placed by providing a Google maps link in the notification e-mail. This app is easy to use and set up and can be used by individuals who have cognitive, motor, or vision deficits. 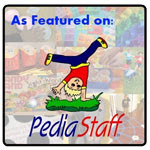 It has been reviewed by many bloggers and even recommended by assistive technology companies. Its features allow cognitively impaired persons to safely travel and maintain independence for as long as possible using a socially acceptable device, without their families having to worry about them. I have had the opportunity to speak with several people around the world who have used Unus Tactus. Their words have truly touched my heart, but one man stands out in particular. He called in to an internet radio show called Alzheimer’s Speaks with Lori La Bey. This man has been diagnosed with early onset Alzheimer’s disease and is trying to live his life without restrictions. He went on to explain that he had purchased an iPhone because he thought it would be easy for him to use, but he was wrong until he found Unus Tactus. This man told me that he uses it every day, and that it has changed his life. He reviewed us in the app store and said, “I have EOAD…always looking for things that will make my life easier, safer, simpler. This app does all those. Such a small price to pay for safety...” Hearing that my little idea had such a positive impact on another person was overwhelming. Currently, I work at the Lewis School of Princeton and I am finishing my CF. The population of our school is specialized, and I am working primarily with children who have dyslexia and auditory processing disorder. As I see the needs of this population, I look forward to developing more apps to help them succeed. It is so important that as therapists we continue to grow and assist our clients in new and exciting ways. If you see a need for change, then change. If you see a demand for a product, then make it. You never know who in the world you might be helping, and that is what being an SLP is all about. Thanks again to Ashley Alliano for the amazing and inspiring guest post! As she stated in her e-mail to me, "I hope this inspires other SLPs to create apps to help their clients!"